Hi! Just wondering if you could post about my beloved Schwinn Sprint. 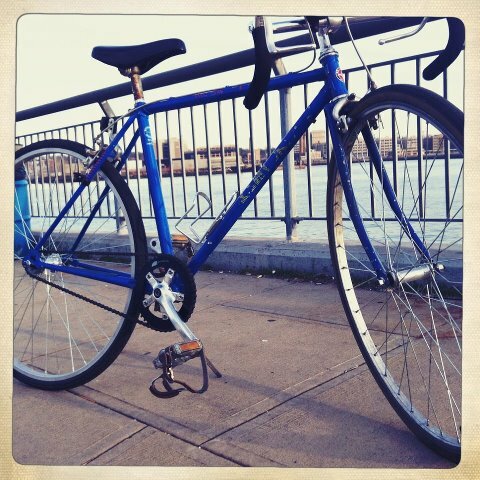 It was stolen on Tuesday, 4/17 from 19th Street between 7th and 8th avenues in South Park Slope Brooklyn. It has a very small frame, drop handlebars with black foam on the bottom, some new parts. The most distinguishing features are the fact that it is single-speed (freewheel hub) and the new black Speedwheel crankset. All parts are standard, not flashy…it’s not worth much whole or in pieces. I’ll be actively looking for it in the area, have called bike shops around, etc. The frame was a gift from a good friend and it holds a lot of sentimental value. I would be happy if just the frame came back to me one day. Any leads, email mjsymuleski or call/text 646-943-4389. Will give a finder’s fee.